After putting together the Box Art Evolution piece two days ago, I thought it would be fun to take a look at how the in-game graphics in Abduction Action! have evolved. They've really come a long way in my opinion, going from some very obvious programmer art to (hopefully) something that looks pretty good. Showing the new box art around has also lead to comments about the in-game graphics not living up to the impression set by the box art. 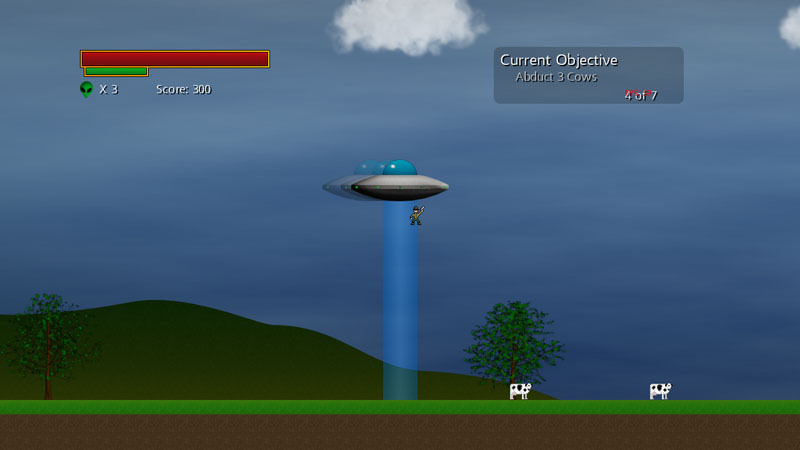 I had planned to release Abduction Action! in the next week or so, but I think it would be good to spend some extra time bringing the quality of in-game artwork up to a higher level too, even if it means more weeks in development (and a March release). I've already gotten some new background artwork in the farm level and will have new pieces for the small town and desert levels too. 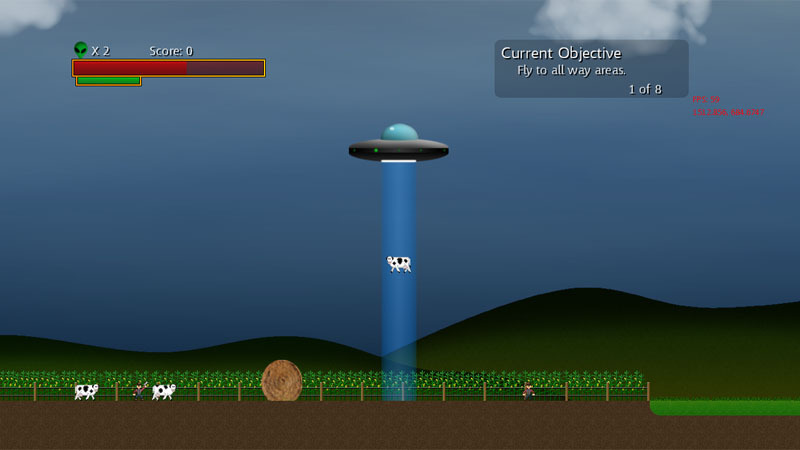 There will be an updated cow (that should look more like a real cow) and I'll personally be touching up lots of the artwork (including the UFO itself). 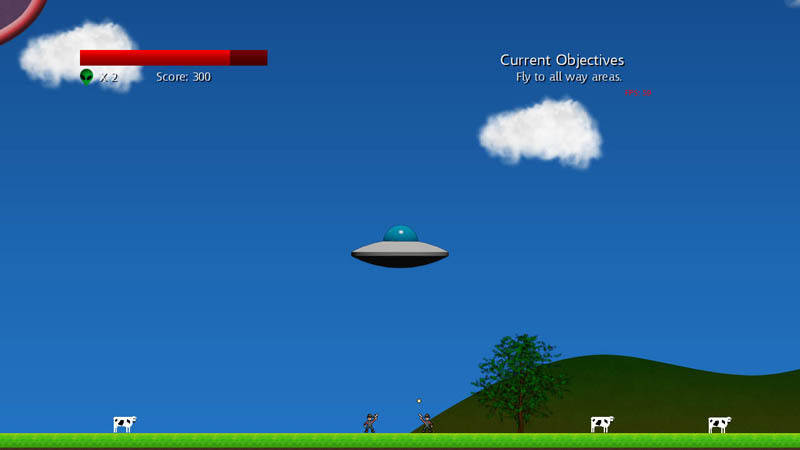 I'm going to play with some graphical effects too, for instance adding a bloom effect around the UFO tractor beam. Enough chatting though... on with the show! Updated hills, grass, background, and UI. 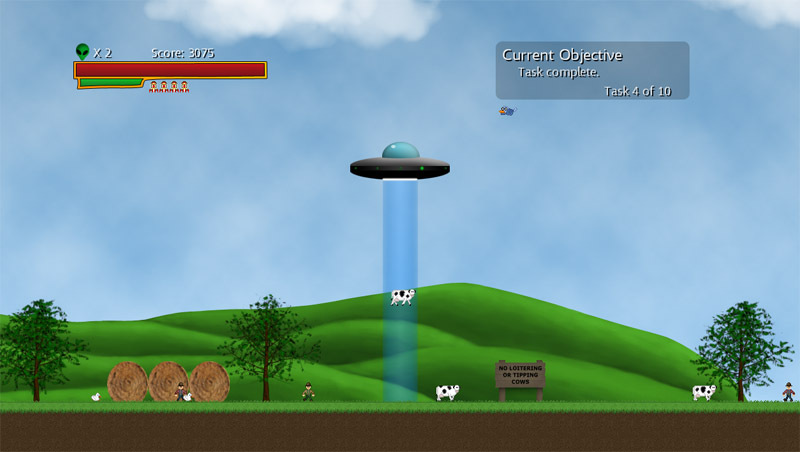 Updated UFO, Cows, Enemies, Hills, and Grass. Updated Hills, Grass, and Sky. As always, let me know what you think about the graphics or any other thoughts you have in the comments below. 0" style="
This article has been view 620 times.